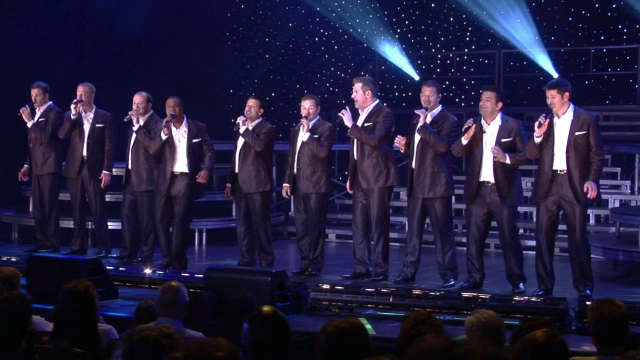 Back by popular demand: join us for another round with the a cappella phenomenon Straight No Chaser in their March pledge show "Songs of the Decades," filmed live at Harrah’s Resort in Atlantic City, NJ. If the phrase "male a cappella group" conjures up an image of students in blue blazers, ties, and khakis singing traditional college songs on ivied campuses…think again. Straight No Chaser (SNC) is neither strait-laced nor straight-faced, but neither are they vaudeville-style kitsch. As original member Randy Stine comments, "We take the music very seriously; we just don't take ourselves too seriously." In the process, they are reinventing the idea of a cappella on the modern pop landscape. “Songs of the Decades” takes us on a journey through the decades of the pop songbook, including Elvis Presley's “Heartbreak Hotel,” the Four Seasons' “Big Girls Don't Cry,” Stevie Wonder's “Superstition,” Simon and Garfunkel's “Bridge Over Troubled Waters”, Madonna's “Like A Prayer” and Boyz II Men's “End of the Road” – all done with SNC's trademark harmonies and unique charm.